The Rubbermaid FG1962000000 scraper spatula’s blade is made of silicone, which cleanly scrapes dishes without scratching them. The blade is notched to sit on the edge of a pan and is stain resistant. 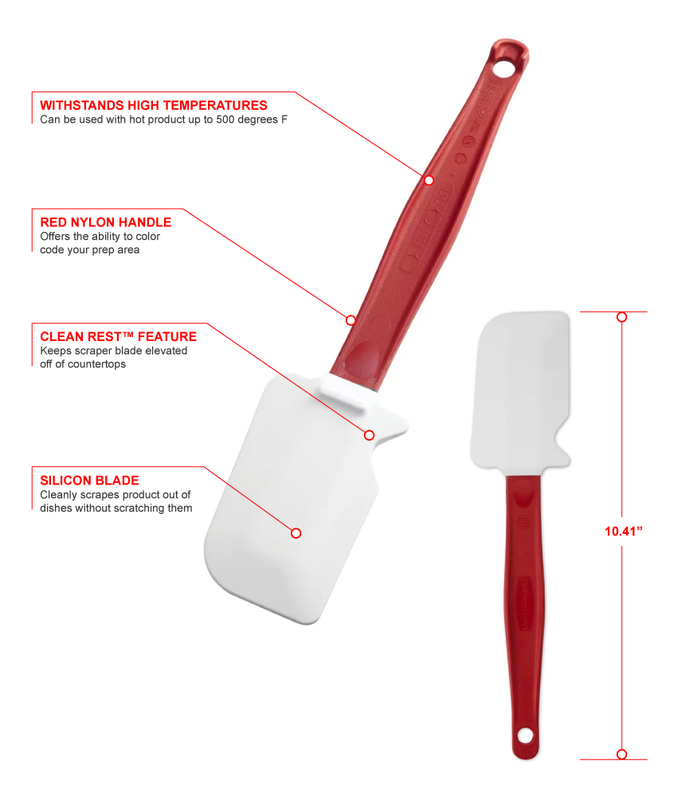 Resistant up to 500 degrees Fahrenheit, the spatula is safe to use with hot product. Constructed of nylon, the handle stays cool to the touch when working with hot food. The red color of the handle makes it easily work in a color-coded cooking system. 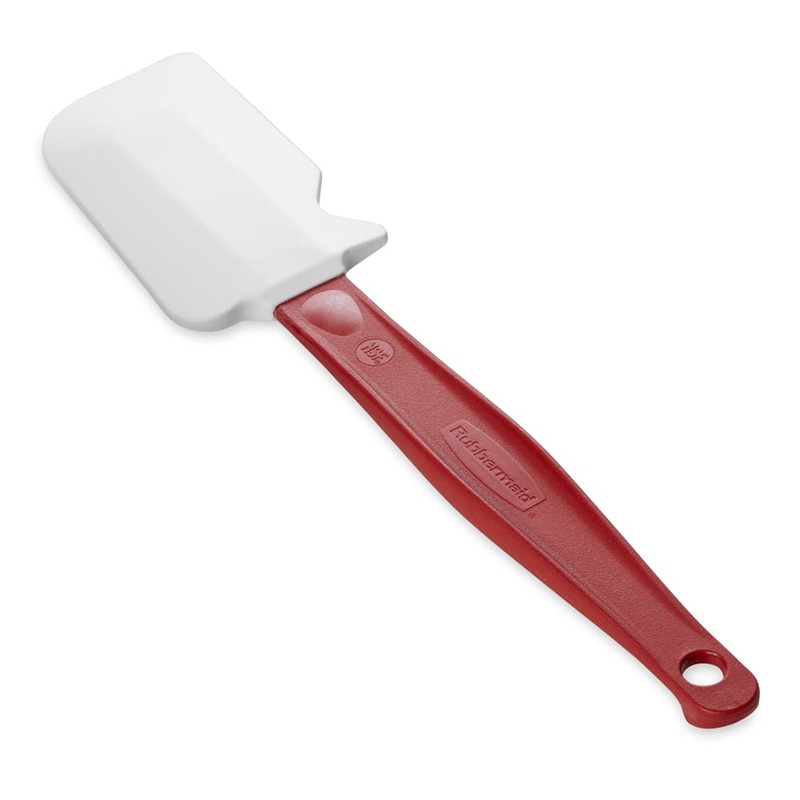 The Rubbermaid FG1962000000 scraper spatula rests on countertops without contaminating the blade with the Clean-Rest™ feature. It is safe to clean in commercial dishwashers. "Have used these for years as a must have in the kitchen."